As a busy purchasing manager, you don’t need the hassle of trying to coordinate the shipping of your pallet loads. Let Challenger Pallet handle your shipping needs when it comes to your pallet deliveries. 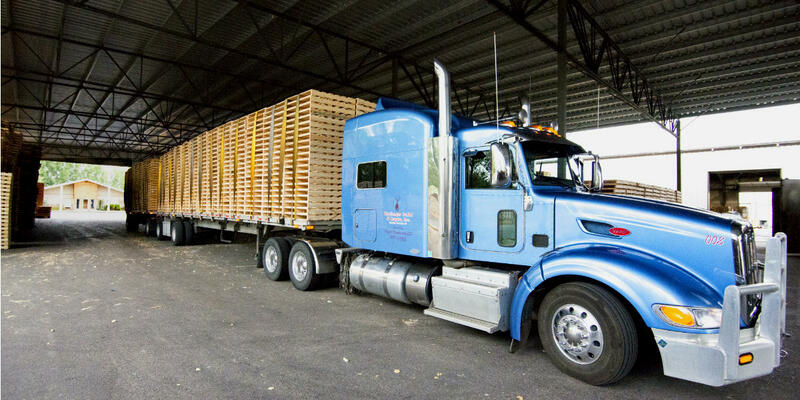 With our own fleet of 8 semi-trucks and some of the most dependable drivers on the road, we have the capability of getting your pallet orders to you right when you need it. We have a wide array of trailers from enclosed vans to flatbeds to small gooseneck trailers. If you need drop-trailer services at your dock we can do that with one of our many 53’ vans. We also have a dedicated network of outside carriers. This network helps us to cover 7 western states that include Idaho, Utah, Montana, Nevada, Wyoming, Colorado, Oregon, and beyond.